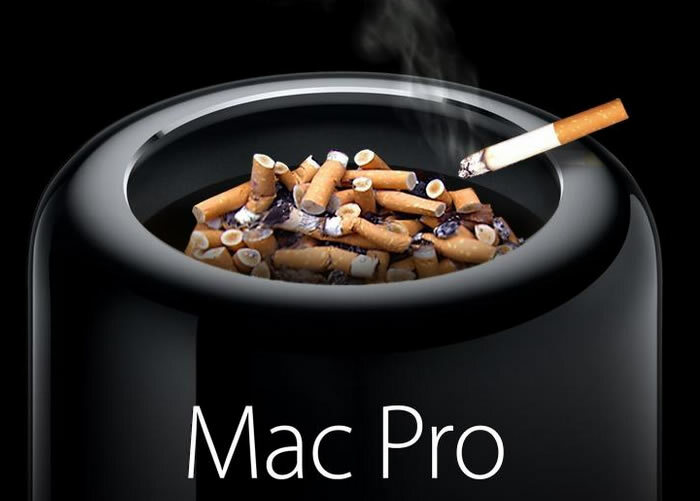 Mac Pro wait has lead to Mac Pro parody, lots of parody. What can you make from a highly-engineered black cylinder with a hole in one end? Here are a few answers to that question, some obvious and others, well, you be the judge. If you order a stock, off-the-shelf Mac Pro today, Apple says you will need to wait until February. Upgrade the processor or add RAM and the wait likely will stretch in March. This is a state of affairs hasn’t changed since late-December, when the game-changing desktop computer first started shipping. But Mac Pro buyers aren’t just sitting on their hands as they wait — those idle hands are getting a workout cranking Mac Pro parody graphics. 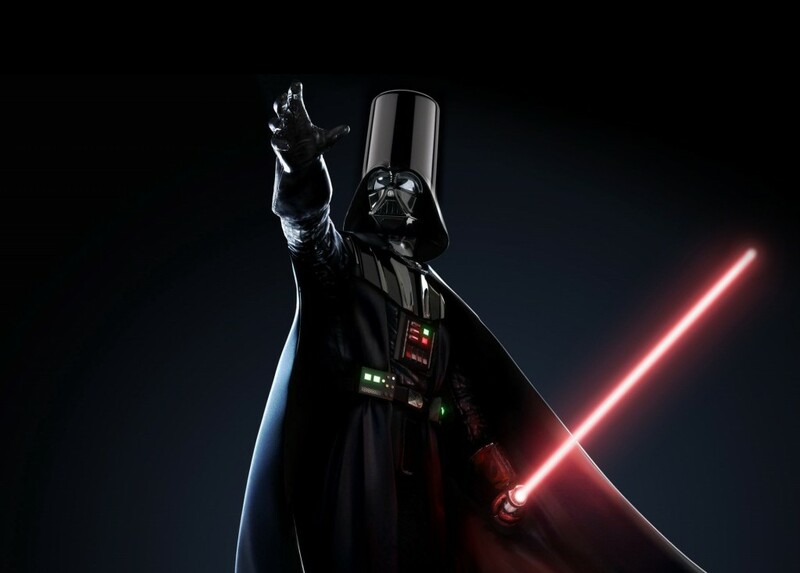 Yes, of course, you can find trashcans and Darth Vader’s helmut, but more imaginative uses, as well. Thrust enough? 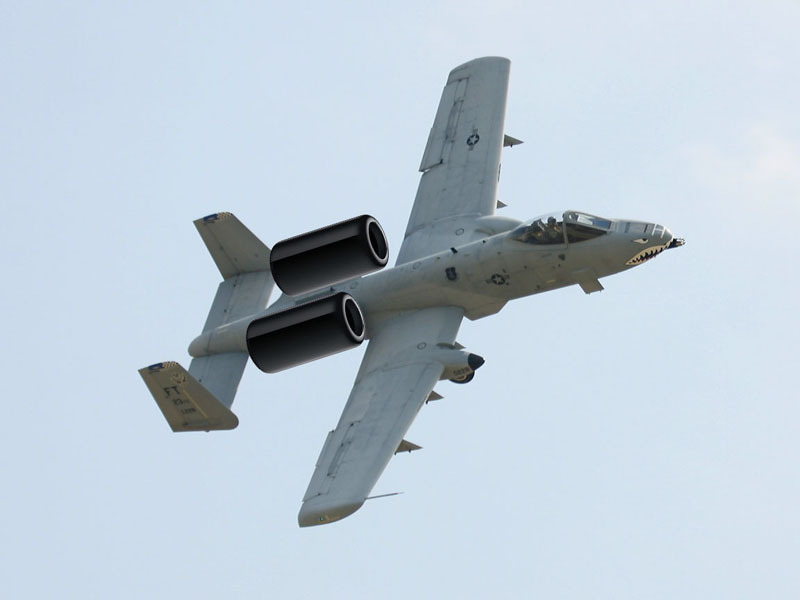 While some have speculated that the Mac Pro’s top-vented cooling system could be a source thrust, the reality is the fans rarely come on and are generally very quiet when they do. 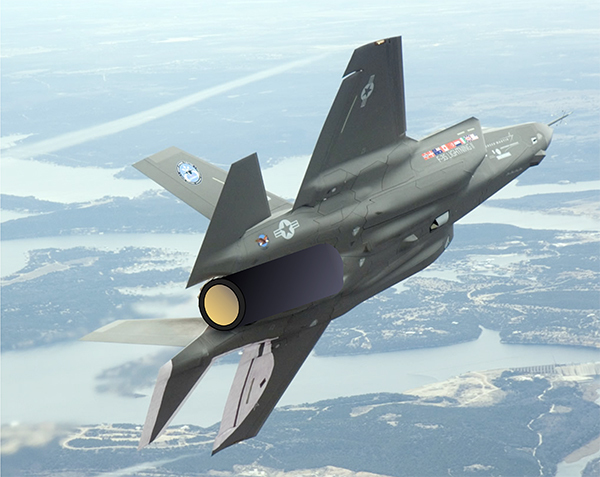 While the F-35 is the most-expensive weapons system in history, Apple’s Late 2013 Mac Pro is pricey, but a good value compared to comparable Windows PCs. Idle Macs are the devil’s workshop? 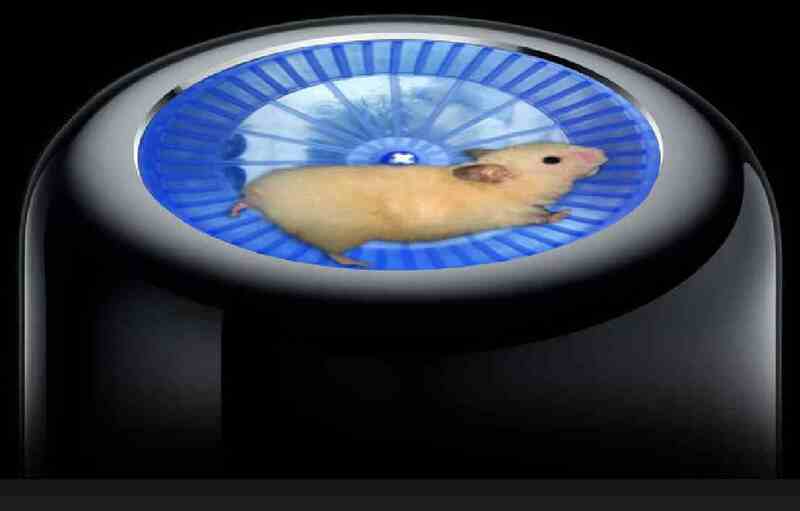 Not this Mac Pro hamster wheel — somebody needs to hook a generator up to that puppy. 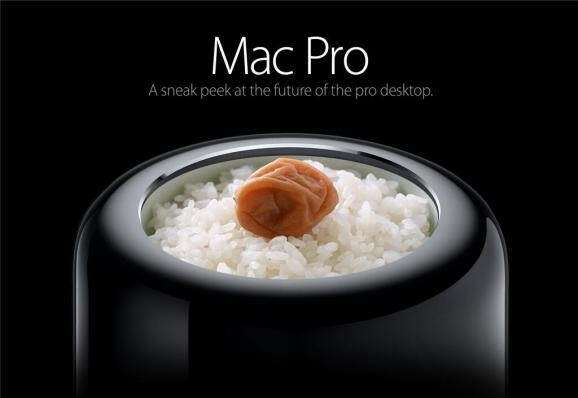 The rice bowl Mac Pro design is cool, but how about the Asian hotpot or dumpling steamer? 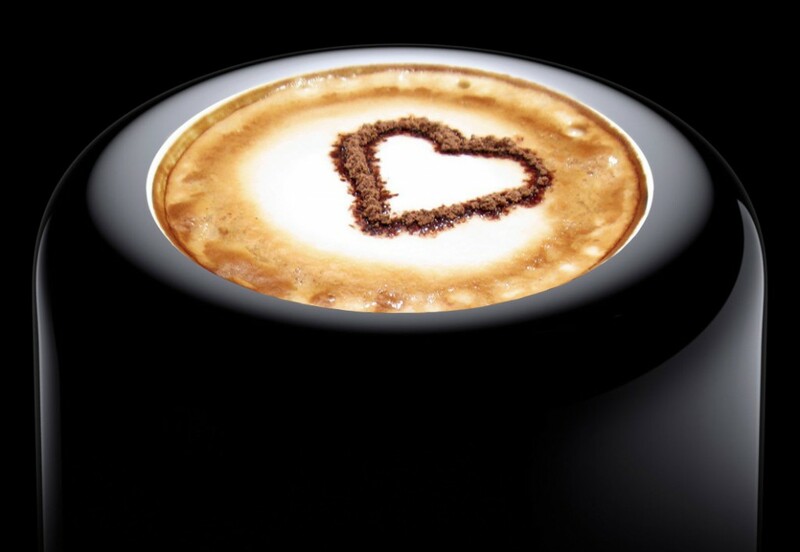 Who knew Mac Pro parody could taste sooo good! Yes, of course, someone made a Vader’s helmut parody. And, then’s there’s the Mac Pro Trash Can that generates a Steve Jobs hologram. Then there’s the Mac run who created a real trashcan Mac Pro. Alternately, get in on the fun yourself and replace OS X’s default Trash Can icon with with a Trash Can Mac Pro. Two words for this one — warrantied voided. Or, maybe three words are better — zero resale value. 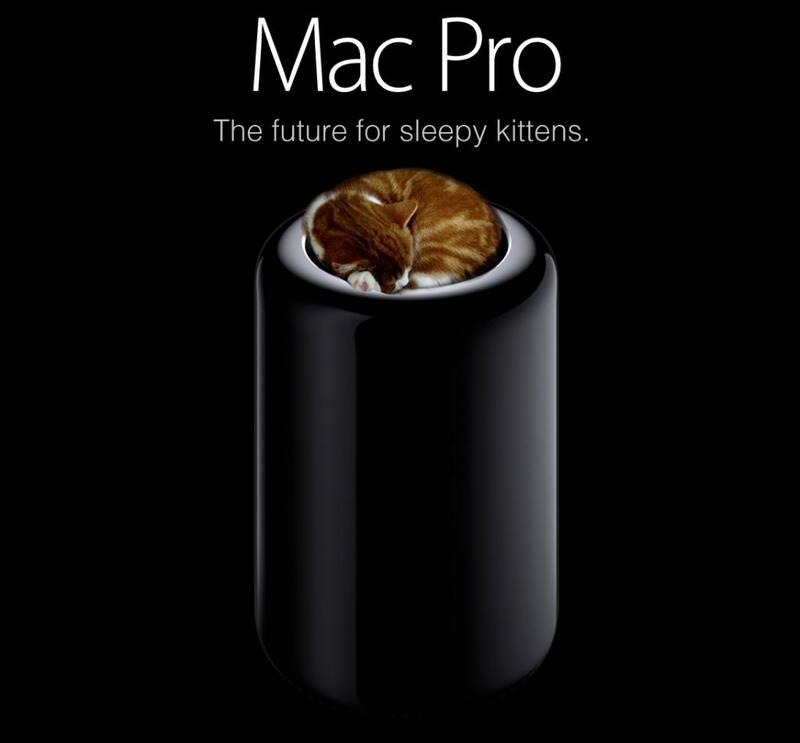 What’s your favorite Mac Pro parody?